Eat with your family, even the crazy ones! Haha, we all have crazy families that we must go eat with every now and then. 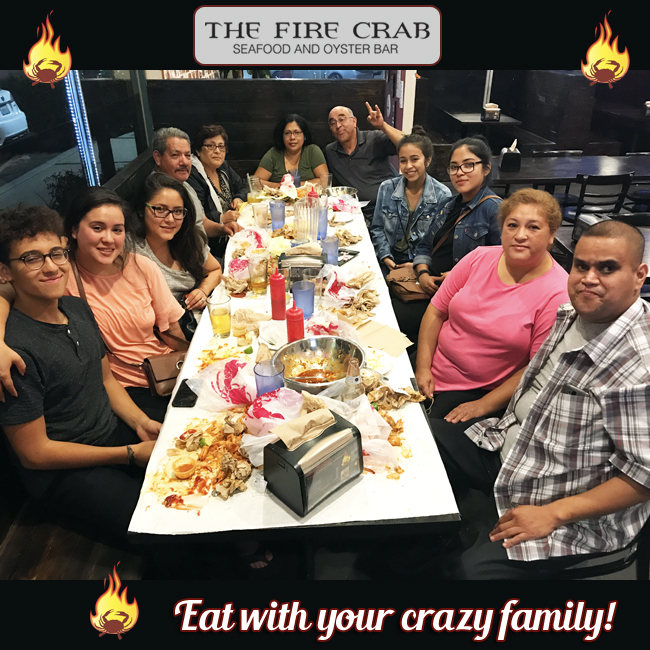 Might as well eat at the Fire Crab since we are large-party-friendly! It's especially nice since Moms don't have to do any of the cooking nor does anyone have to do any of the cleaning. We'll take care of all that for ya! Plus, our current special is made for large parties: buy 3 lbs of crawfish, shrimp, clams, or mussels and get the 4th lb free. Yep, order a few of those combos for your entire crazy family.